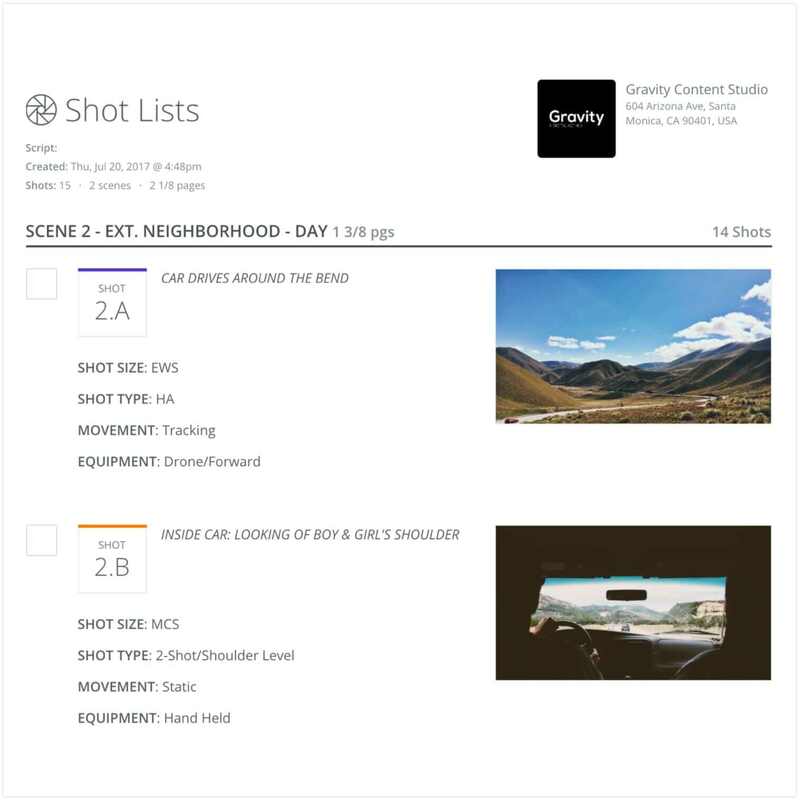 Easily share shot list and storyboard reports with your team. 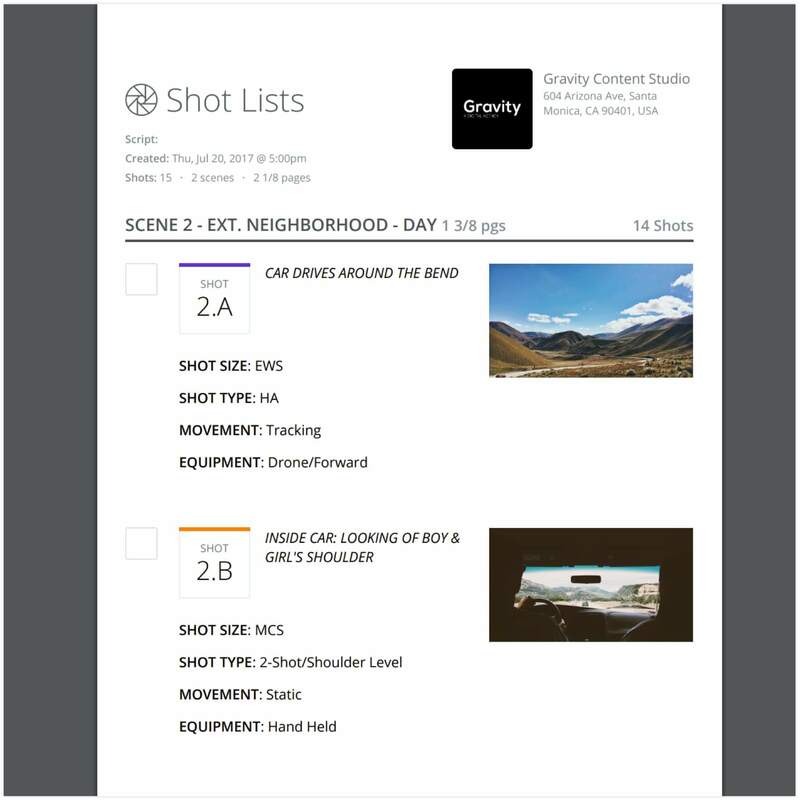 Share beautifully laid out shot list & storyboards with your team in seconds. 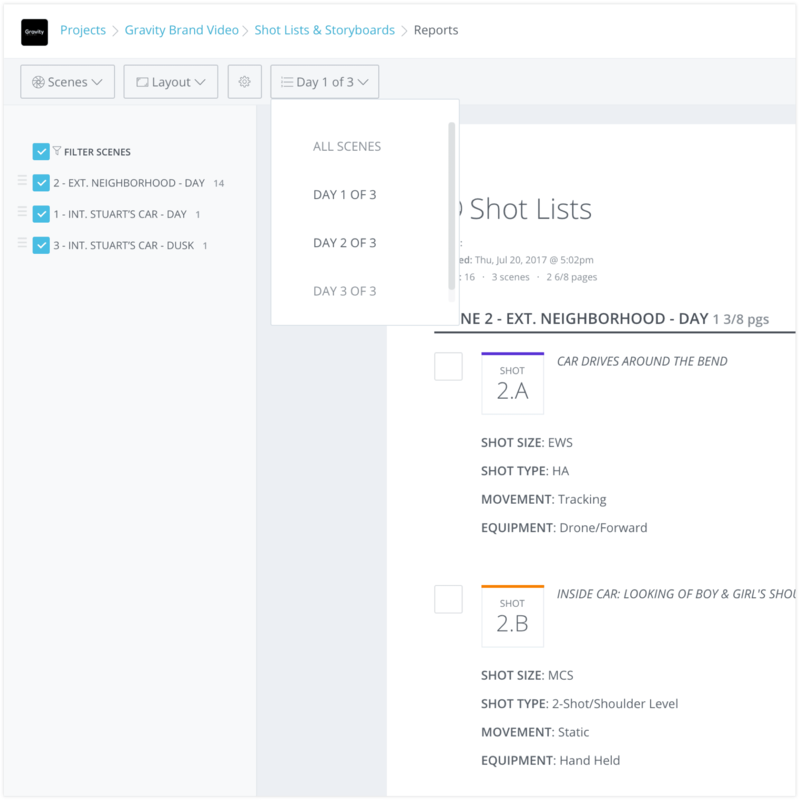 Generate beautifully designed reports of your shot list & storyboard and get your entire team on the same page. 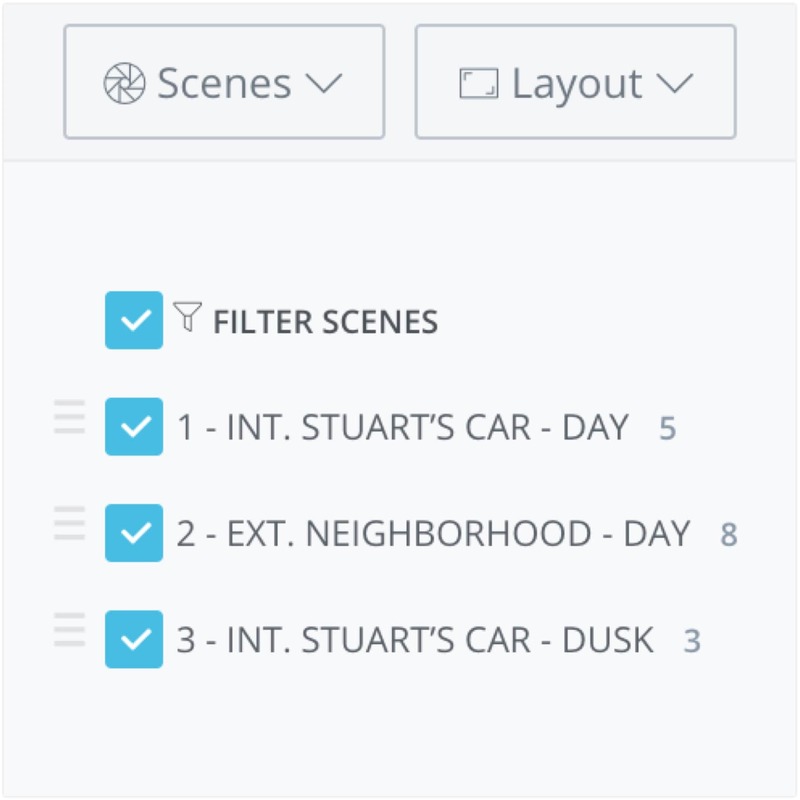 View shot list & storyboards by ﻿scenes﻿, or generate a report for a specific scene. 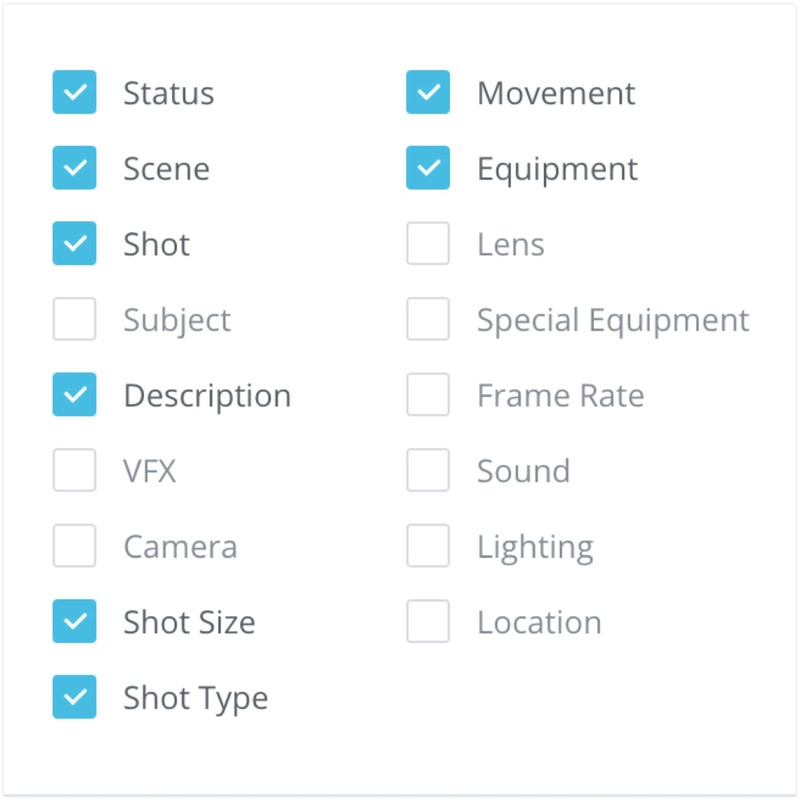 Showcase your vision with elegant storyboards and shot lists.